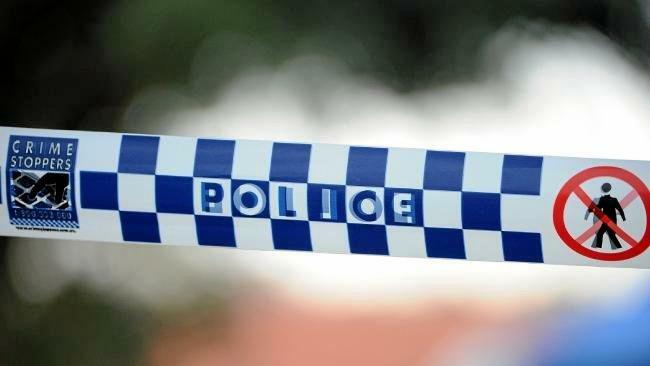 THIRTEEN schoolies have been arrested overnight during the second night of Schoolies Week celebrations. 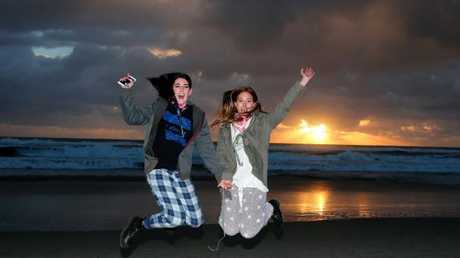 The Schoolies were arrested on 16 offences, including drug possession. Another eleven schoolies were fined for alcohol related offences. 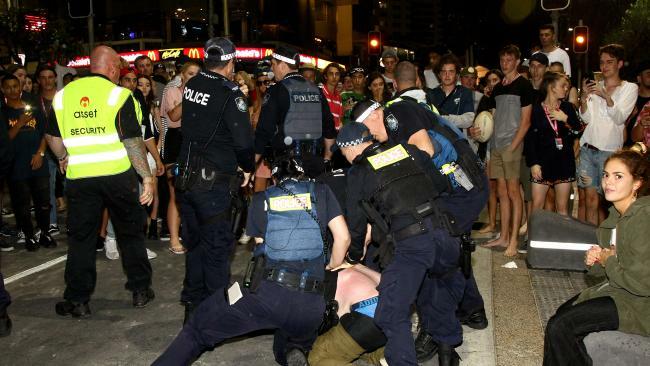 Police said they had been "generally pleased" with the behaviour of Schoolies so far this week. Ten "toolies" were arrested on 12 charges, mostly related to drugs and public nuisance. 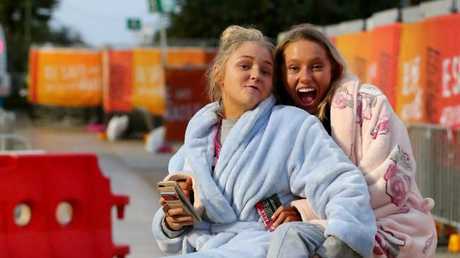 A handful of school leavers were wandering the streets of Surfers Paradise at dawn after the second night of celebrations for Schoolies Week. Schoolies said the rain overnight left most huddled in the Cavill Avenue MacDonalds while they waited out the down pour. "They would not open the toilets," former Marsden State High School student Laevion Williams said. "There is piss and spew in all the portaloos and I need to use the toilet." Laevion said apart from the toilet situation he and his group of friends had been having a great time. "We have just been kicking back and chilling and it's a really good vibe," he said. 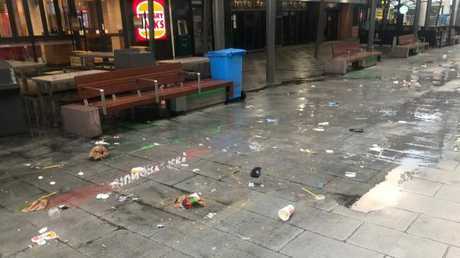 While the final Schoolies left out for the night straggled back to their rooms, the clean-up crews were out in four sweeping the street and hosing down the mall. In Cavill Avenue a long black, thong lay abandoned among fast food wrappers and cigarette butts. 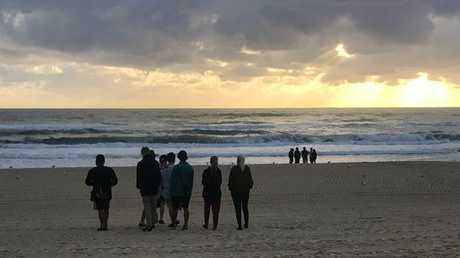 The Surf Lifesaving Queensland dawn patrol was also keeping an eye on the beach to make sure those Schoolies left out remained safe. "They have been pretty good so far," dawn patrol co-ordinator Col Neil said. "We need to be here so that if they have any problems someone can help." Mr Neil said there had not been any need for rescues just yet. He said the worse scenario would be if someone got into trouble and a lot of people went to help. Mr Neil said those occasions often resulted in a mass rescue.